Sundsvall Arts Centre and Theatre ‘Kräfta’ by Harri Mäkiaho. 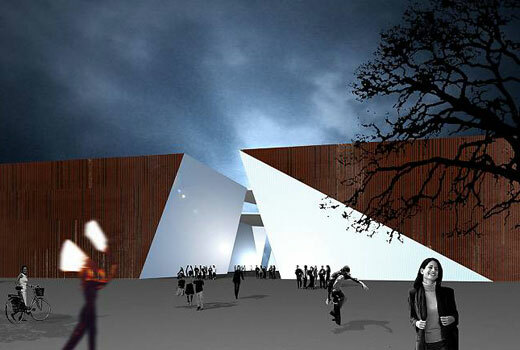 Harri Mäkiaho’s Krafta has won the first prize for realisation of Sundsvall Arts Centre and Theatre. 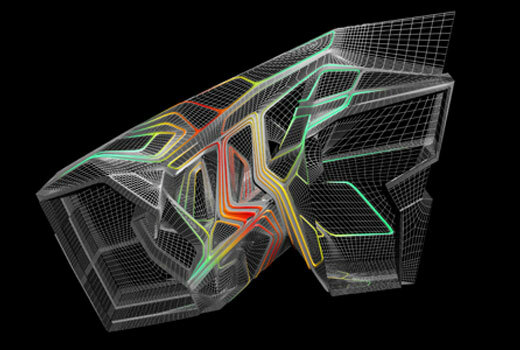 Adopting simple structure, the project also implementing simple cube shape. 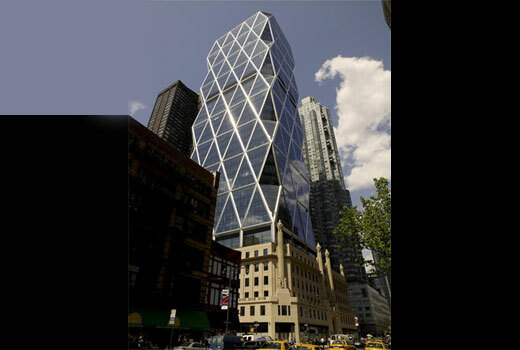 Hearst Tower is 46-storey extension above an existing six-storey Art Deco building located in New York. Completed in 2006, the tower was designed by Norman+ Forster and achieved LEED certification with gold rating. During a ceremony in the Frankfurt Paulskirche recently, the tower was crowned with the prestigious International Highrise Award. 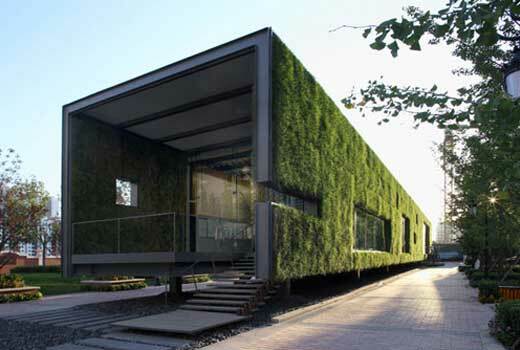 Located in Beijing, the temporary “Green” Technology Showroom is designed by Gong Dong for CR Land. This showroom using grass panel with integrated irrigation system. Total building area: 500 m2. The latest residential tower sited at Dubai Waterfront named ‘The Atrium’ is expected for completion in 2013. 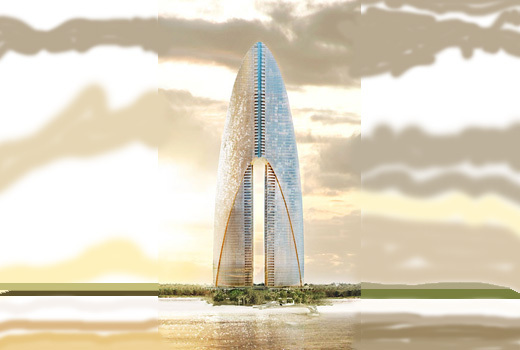 The tower will stand at 278 metres and has 68 floors above the ground and 3 floor under the ground. Designed by American based architects Pickard Chiltern, the Atrium features glass cladding and mixes the function of apartments, jacuzzi, gymnasium, swimming pools, coffee shops, restaurants and some shopping therapy space, as well as a residents only cinema. 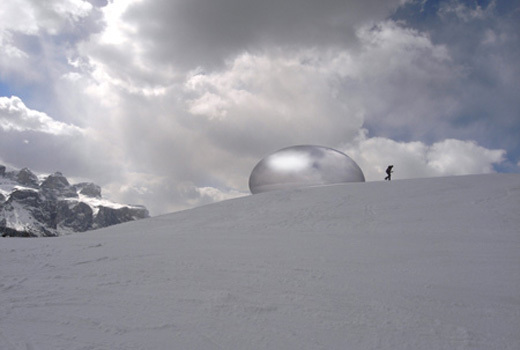 Designed by London-based architect Ross Lovegrove, the Alpine Capsule will be presented at Alta Badia, Italy, in December. This mountain living unit has a diameter of eight metres, and constructed with acrylic and a reflective coating that offers 360 degree view. The construction is expected begin next year in Piz la Ila (Alta Badia, Italy) at 2100 meters of altitude. 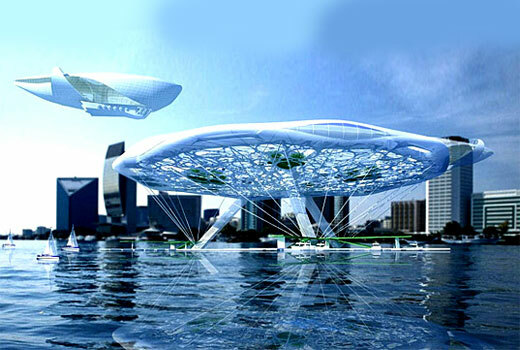 Russian based architect Alexander Asadov offers deconstructivist concept called ‘Aerohotel’ that can be implemented anywhere in the world from reservoirs to oceans. Covering 200 m wide, the floating Aerohotel hotel supported by three ‘arms’ and mix the function of hotel, cafes, restaurants, and winter garden. 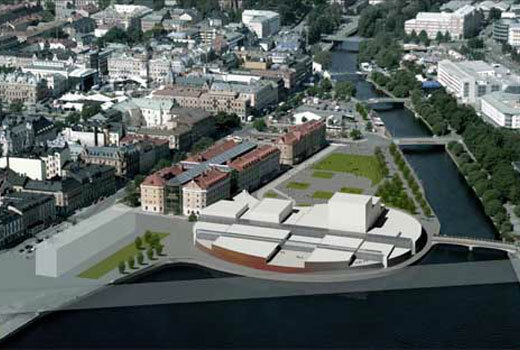 ALA won ‘honorary mention’ from a competition to design the Sundsvall Theatre in Sweden. The project covering 9000 m2 area and sited at Pictouresque rivershore on the edge of the square block city next to a highway. The Taipei Performing Arts Center consists of three theatres which are connected each other with a concourse to offers a hybrid experience. The architect described the concourse as a bridging element which acts as circulation for the theaters but also as a commercial zone which includes lively urban activities such as shopping, restaurants, bars, and other public amenities.